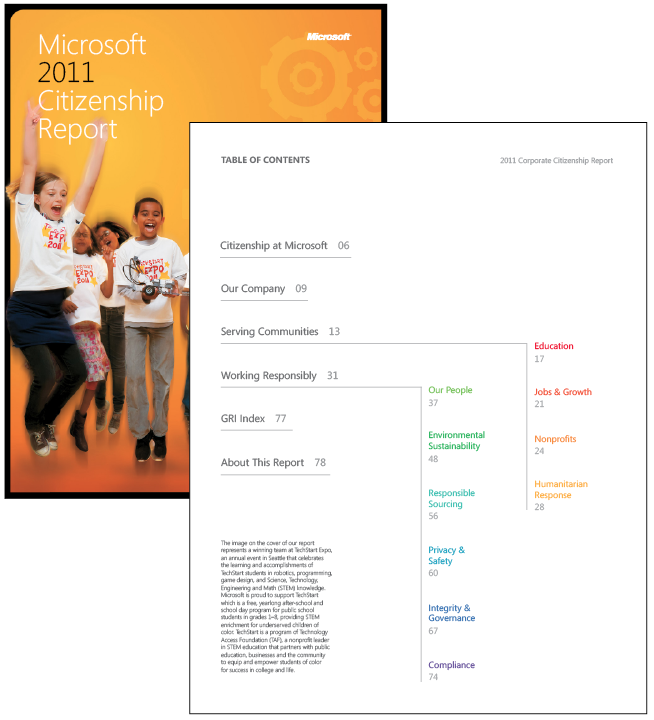 Microsoft reports annually on its citizenship priorities, commitments, and performance. The Citizenship Report details Microsoft’s work during the 2011 fiscal year, which globally served the needs of communities and fulfilled their responsibilities to the public. 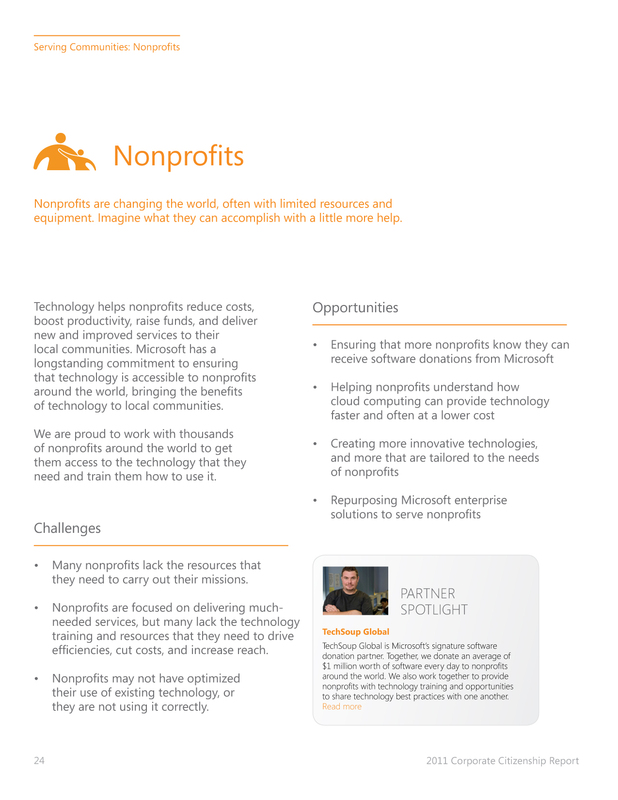 When our team at POSSIBLE was approached to work on the report, Microsoft’s Corporate Citizenship team had already completed its online site, but still needed a printed report as well an interactive PDF with tags — in 7 days. As lead designer I helped my team assess needs, outline an attack plan, assign talent, and design master templates that mirrored the partner site’s hierarchy. To maximize limited resources and manage a constant stream of edits, I helped ensure smooth transitions between designers to minimize downtime. The project finished on time, without compromise, and with kudos from the Microsoft client for performance under pressure.